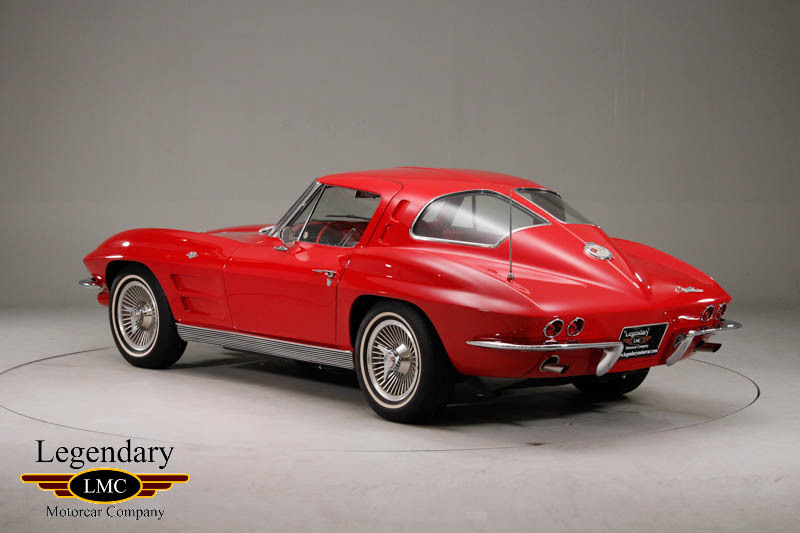 Click any thumbnail below to display the 1963 Chevrolet Corvette Coupe Split Window slide show. 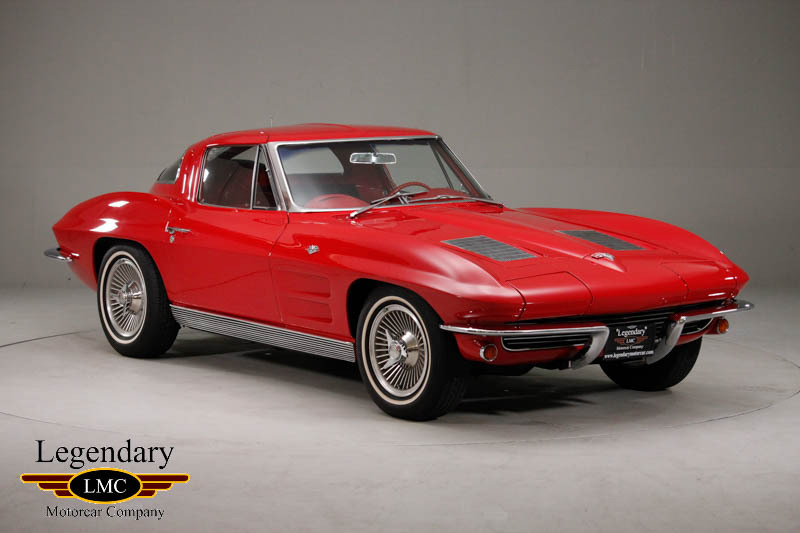 The newly designed ‘63 Corvette was flashy, muscular and powerful as this futuristic fiberglass sports car was a symbol of post-WWII America that was craving for individual expression. 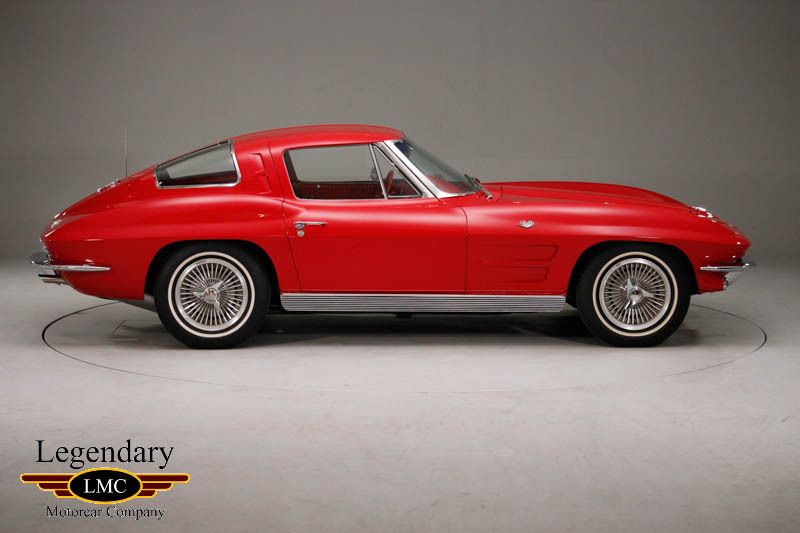 The radical exterior styling of this Corvette generation was very purposeful, with peaked fenders, a long nose, and a short, bobbed tail. 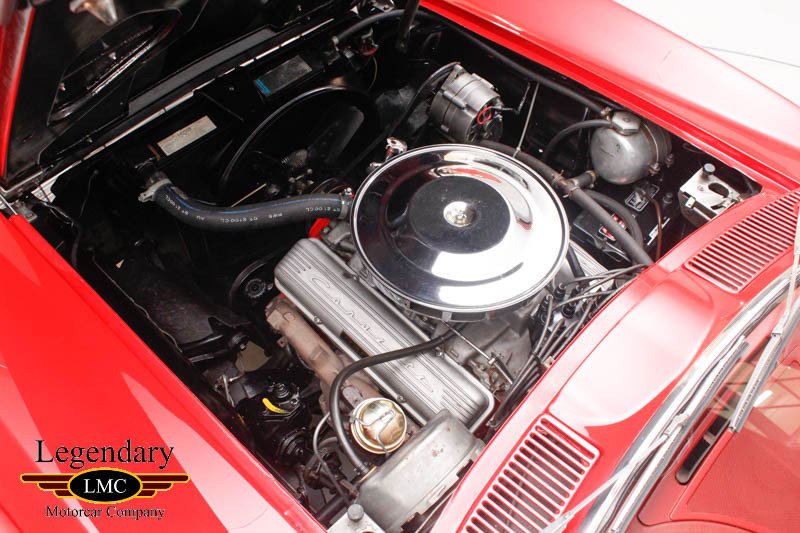 The Quad headlamps were now hidden - the first American car so equipped since the 1942 DeSoto and the 1936-37 Cords. 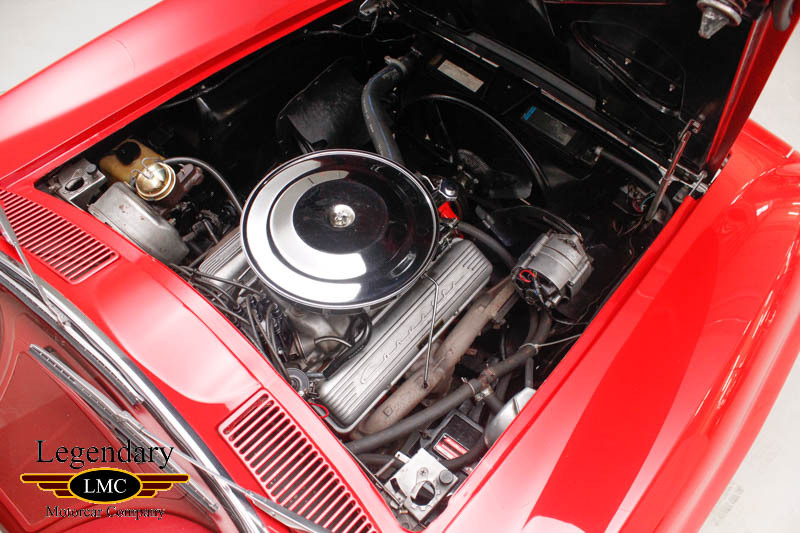 The hood had two simulated air intakes within stylish indentations and the Coupe doors were cut into the roof like a true racing sports car. 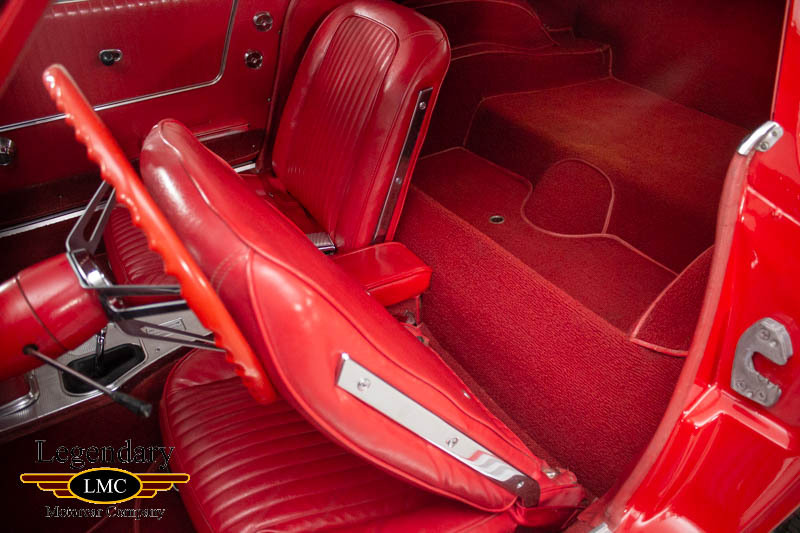 The Sting Ray's interior carried a new interpretation of the twin-cowl Corvette dash motif used since 1958. 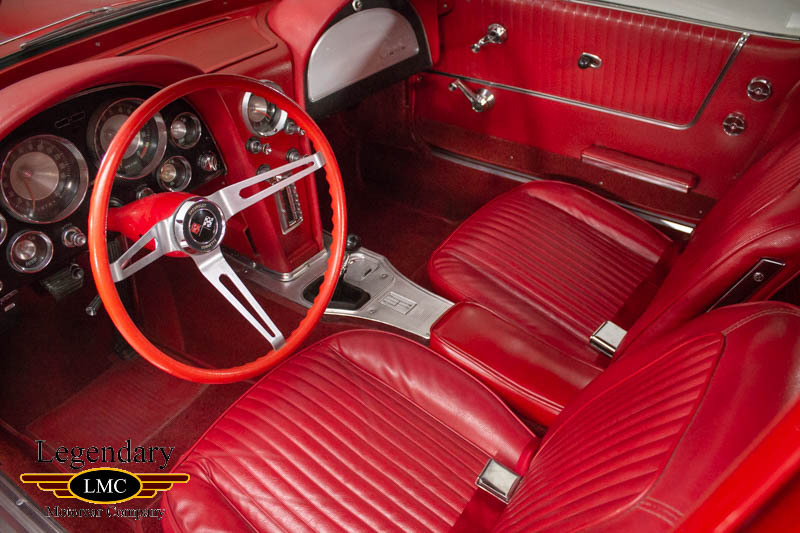 A full set of round gauges included a huge speedometer and tachometer, and the center stack was now somewhat slimmer containing the clock and a vertically situated radio. 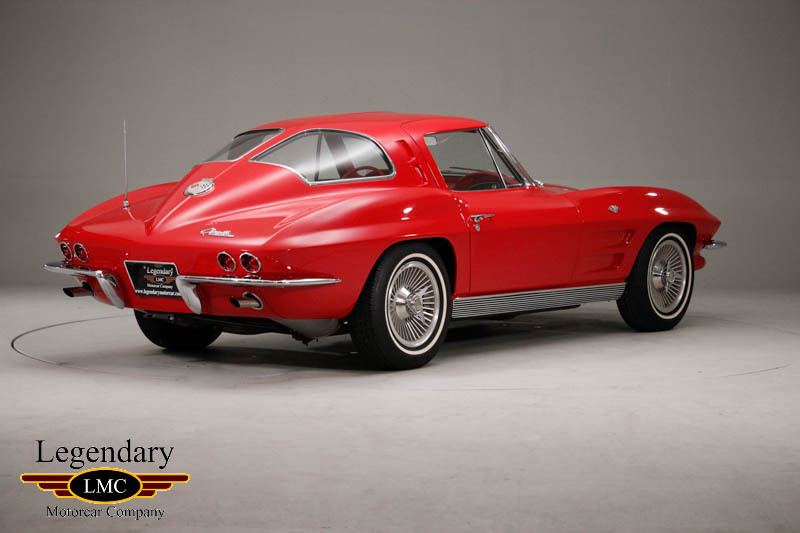 The first-ever production Corvette Coupe had the backbone divided rear window split which was an extremely unusual styling element for its time. 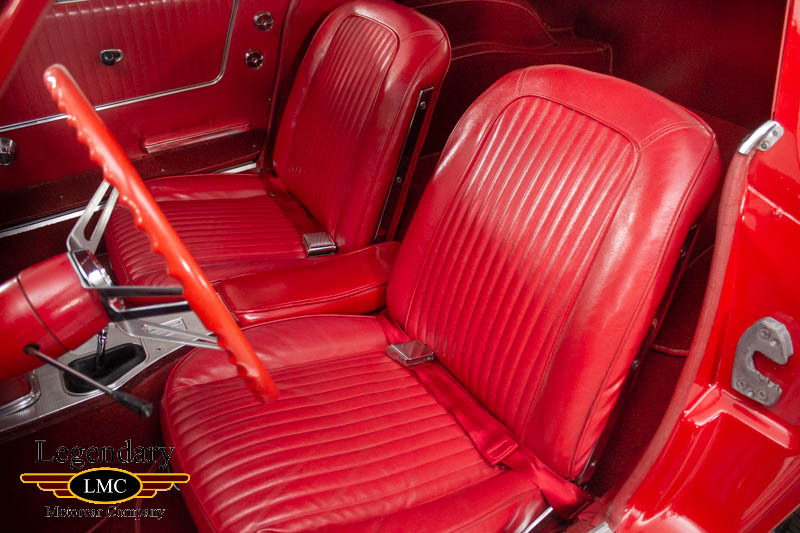 This ‘Split Window” with the glass flowing down the sides and body sweeping artistically into the point at the back of the car adorned by the large round deck fuel-filler flap with the crossed-flags insignia. 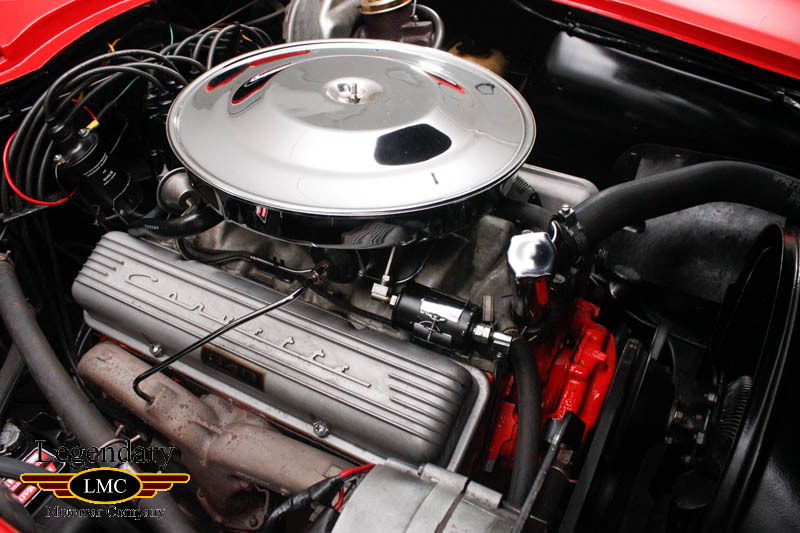 All 1963 cars had 327cid engines, which made 250HP as standard and optional variants made were 300HP, 340HP and 360HP. 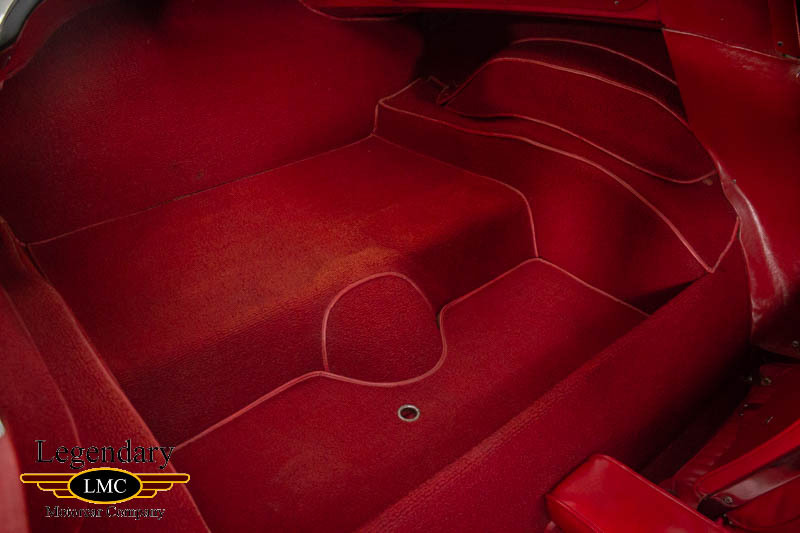 This beautiful Split Window Corvette is finished in 923 Riverside Red. 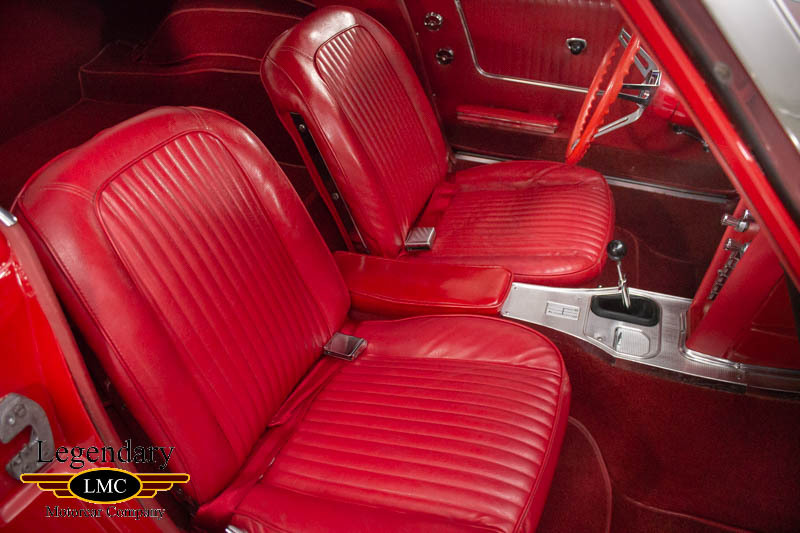 The matching 490 red vinyl interior complements the beautiful exterior making it one of the most desirable color combinations of all time. The exterior also features the standard rims with the correct knock off wheels and white line radial tires. 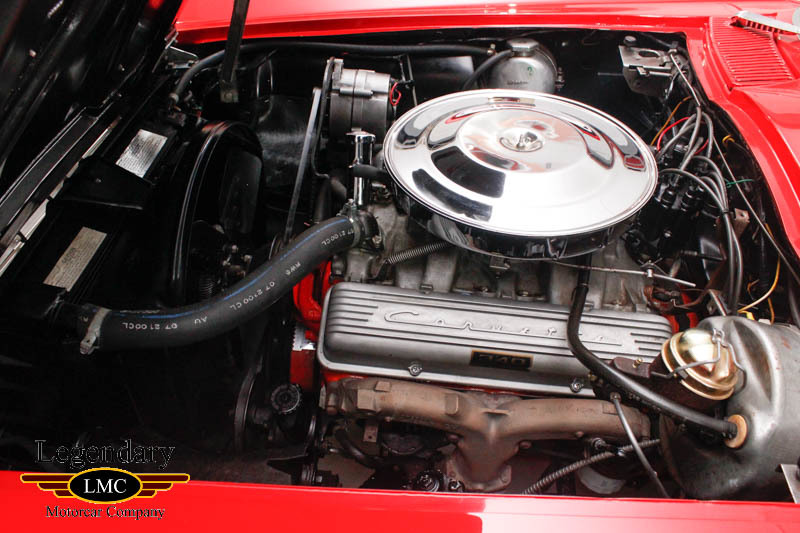 This car has the perfect stance and style, only found in a C2 Corvette coupe. 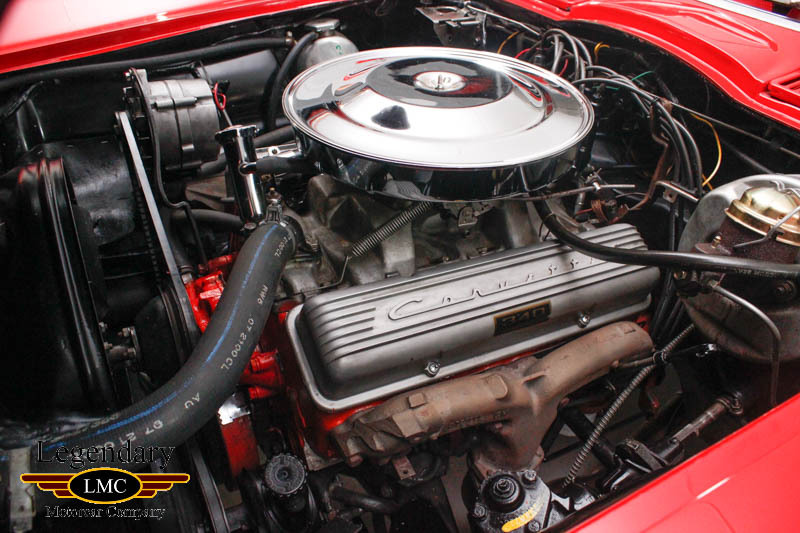 Powered by the numbers matching 327/340hp engine, along with a 4 speed Muncie transmission. 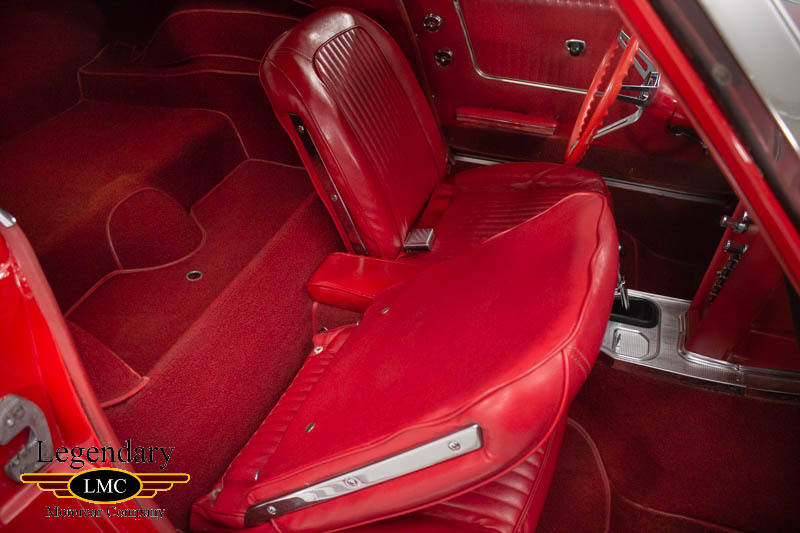 Having previously benefited from a complete frame off restoration not only is it in beautiful, but also was restored with the emphasis on drivability. The car runs and drives extremely well and is an absolute joy to drive with its great sounding exhaust note. 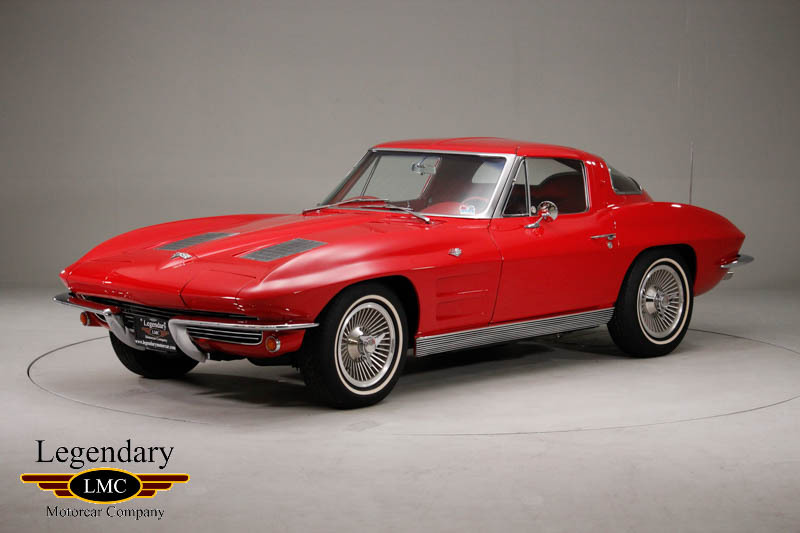 C2 Corvettes are a very sought-after model, with the 1963 Split Window being one of the most collectible of them all. 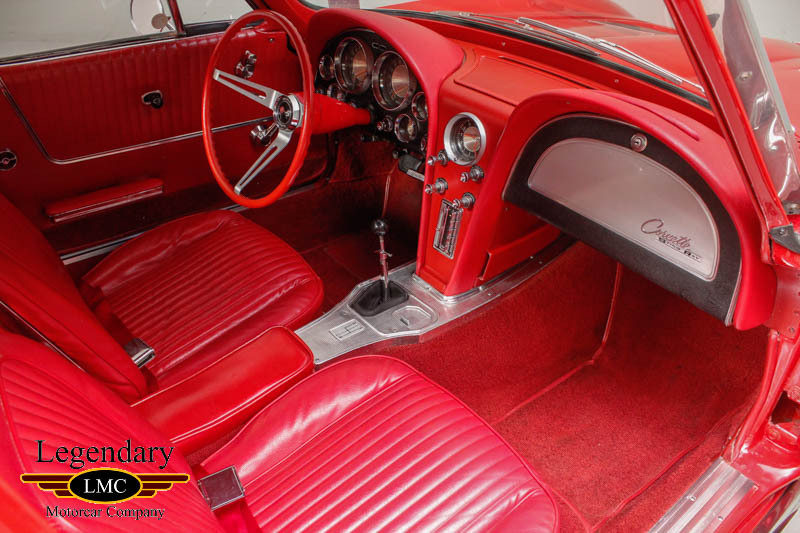 This stunning example is a perfect opportunity to add that dream car from the 60’s to your collection, or a beautiful vintage Corvette ready to be used for cruising that will stand out amongst the everyday modern car. 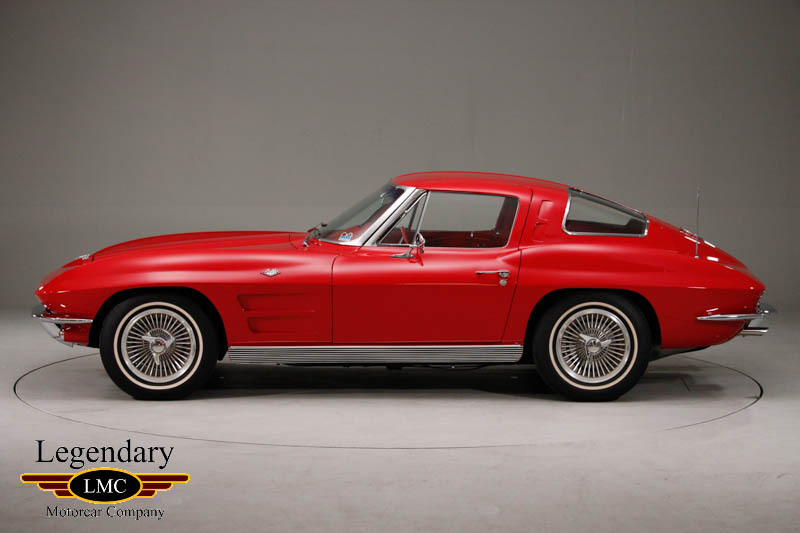 Legendary-Motorcar-Company-Ltd-2018-106 Chevrolet 1963 Chevrolet Corvette Coupe Split Window 2018-106 103000.0000 Legendary Motorcar Company Ltd.